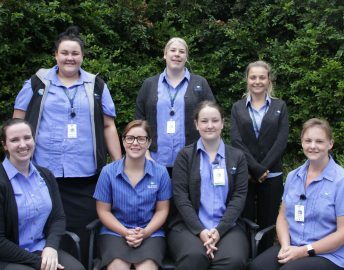 EGHS Graduate Nurse Program aims to provide a variety of learning experiences in a supportive environment to facilitate the graduate nurse to develop clinical knowledge, skills and confidence in the role of a Registered Nurse. EGHS Graduate Nurse Program commences in the first week of February and runs for 52 weeks on a minimum 0.8 contract. Participants are entitled to six weeks annual leave (pro-rata). Clinical Support is provided by the Clinical Support Nurse/Educator and experienced preceptors in each clinical rotation. Clinical Support ensures that the graduate nurse develops their skills and knowledge in a safe and encouraging environment. Each graduate will have a four month rotation through acute, aged care and either perioperative or district nursing for a further four months. In-patient Unit — 18 bed acute unit covering medical, surgical, paediatric, palliative, midwifery, oncology and Urgent Care Centre. 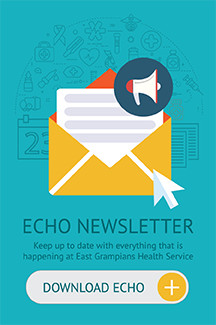 East Grampians Health Service is very excited to offer the opportunity to support one position for an Honours graduate nurse. There is an increasing expectation by governments and communities for evidence-based healthcare practice, as health policies impact upon the way services are delivered to the community. In this context nurses, as the largest group of healthcare providers, are central to the implementation of new, evidence-based practices. This requires nurses to increase their knowledge of and skills in, research utilisation and application. An honours graduate will make significant contributions to healthcare and to the discipline of nursing, through their knowledge, research and evaluation skills. The honours year primarily involves an independent research project conducted under supervision of an expert academic in conjunction with completion of your graduate nursing program. EGHS would be flexible and supportive in ensuring both the needs of the research project and your work life are met. 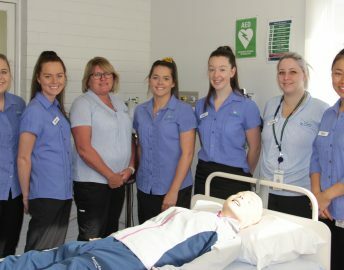 In addition to our Graduate Nurse Program, EGHS are also offering a collaborative Nursing and Midwifery Program for one newly Registered Nursing and Midwifery graduate. This program is an exciting opportunity for newly Registered Nursing and Midwifery graduates to complete a transition to practice year within regional and rural settings. The program is structured to enable rotations of graduates between participating services in order to provide a variety of both nursing and midwifery experiences. Clinical experience is complemented by study days and access to regional continuing education programs, simulation based learning and online learning. Clinical support staff are available in all services. 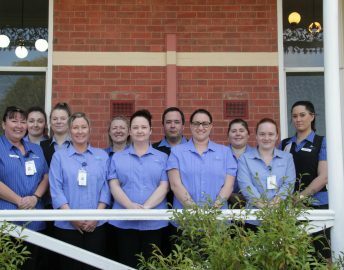 Graduates are employed at East Grampians Health Service and complete one rotation to Ballarat Health Services. Rotations are structured to provide graduates with experience in acute medical, surgical and other general nursing settings, antenatal care, birthing, postnatal care including domiciliary and Special Care Nursery.